Famous people born on SEPTEMBER 14 have the same birthdate as Tyler Perry, and Amy Winehouse. They are awesome personalities who were born under the zodiac sign Virgo. They love to laugh and have a good time but they stay focused on the big picture. Famous celebrities born on September 14 set high standards and usually expect others to take advantage of life’s golden opportunities. It bothers them when their friends and family do not participate wholeheartedly. People think that they are money hungry and pretentious. What they are really like is being considerate of others. They are hard working individuals who have the ability to influence others. They support those that display a willingness to do better in life. While famous people born on September 14 know work is important and all that comes with it, they keep themselves surrounded by mentors as motivation. It helps them to maintain their focus ability. They are emotionally mature and anyone would be lucky to have them on their team. 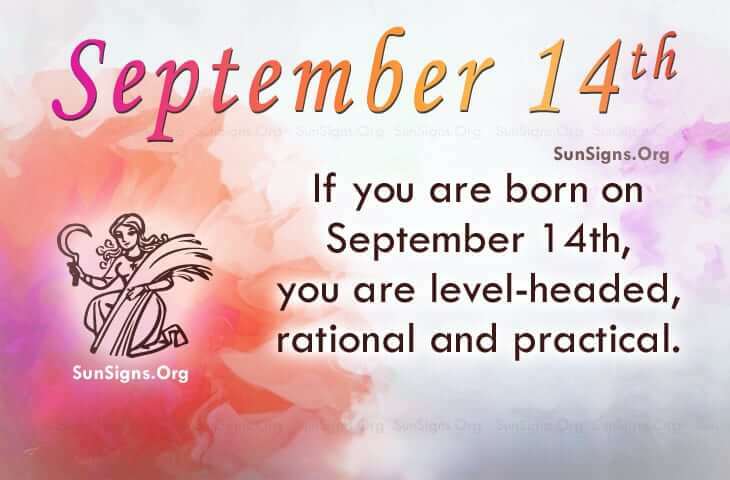 Famous people born on September 14 are people who are top shelf. Giving and receiving nothing but the best should be the norm for a person born on this day. It’s a job leveling professional tasks and personal chores. They should relax more.